Nothing is more Italian than having a Campari Soda over lunch. 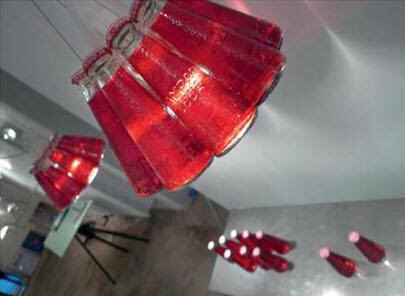 Ingo Maurer's Campari Lamp goes a step further. 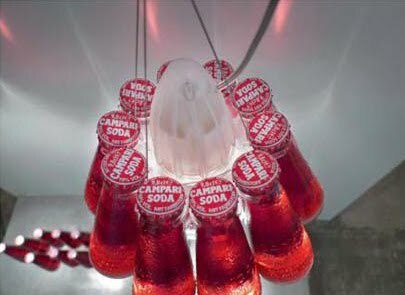 The Campari pendant light from Ingo Maurer is made of ten original Campari Soda bottles, individually detachable, surrounding a PAR lamp. 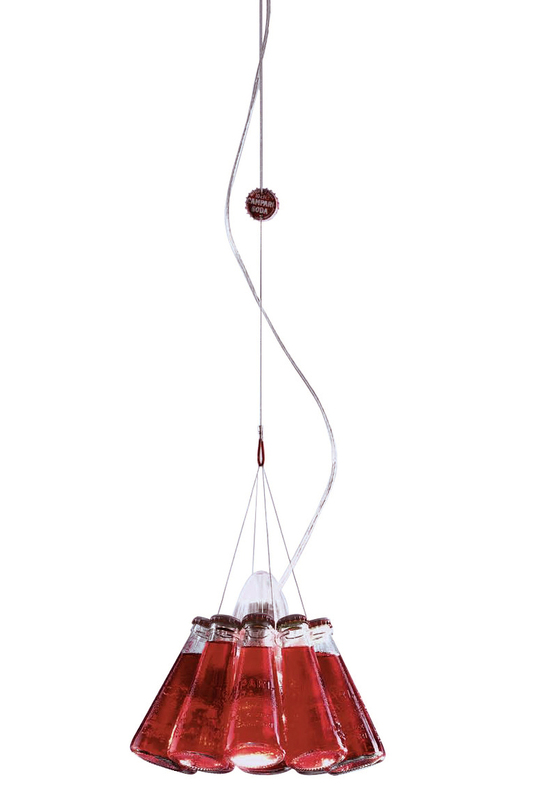 True to Ingo Maurer's tongue-in-cheek form the height of the Campari pendant is freely adjustable via Campari crown cork.